Spread each slice with 1 tablespoon of nut butter. 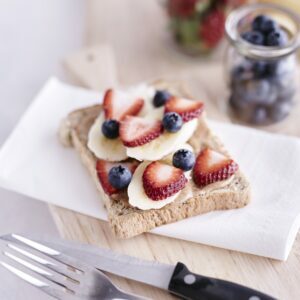 Top each slice of toast with slices of banana, strawberry and the blueberries. Recipe kindly provided by Bakers Delight – for more recipes visit their website here.